Dental or tooth bonding refers to a process in which fractured, discoloured or decayed teeth are treated by the application of tooth-coloured composite resin, which bonds to the teeth to address the issue. This is an alternative treatment to veneers, and it has the advantage of only requiring a single visit, unlike veneers which are customised and manufactured in a laboratory. 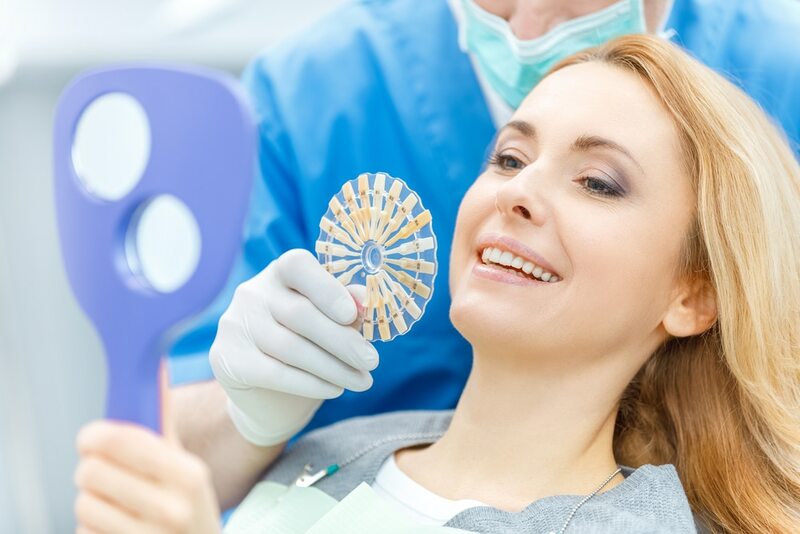 What Can Dental Bonding Treat? Dental bonding is most commonly used in cosmetic dental treatments. It is one of the simplest and least expensive treatments. It is incredibly effective as the composite material can be easily shaped and polished to create an exact match with your tooth. This ability to shape makes it perfect for treating degraded surfaces on teeth, and chips in fillings. It can even be used to change the shape and colour of teeth by making them look whiter, wider, longer, or fill in gaps. The material used in bonding is actually the same as what is used in composite fillings, which is a safer, (as we only use BPA-free composites) and more aesthetically-pleasing alternative to amalgam fillings, which contain mercury. First, we use a shade guide to ensure the composite resin we look matches your existing teeth. We then etch the surface of the area we will bond to make it suitably adhesive. We also use a conditioning liquid to make the bonding material stickier. Once the surface is ready, the resin will be applied before being moulded and smoothed to its proper form. We then use ultraviolet light to harden the material. When the material is hardened, it will be further trimmed and shaped, before being polished, so it matches the sheen of the surrounding tooth and teeth. This procedure will usually take about 30-60 minutes, largely dependent on the size of the repair. Although if you are having a number of teeth bonded, it may require several visits. To look after your teeth post-procedure, you should avoid ingesting any substances that could stain your teeth following the appointment. This includes coffee, tea, tobacco as well as red wine. You should avoid these foods, drinks and substances for at least 48-hours, and ensure you keep up a healthy oral health routine and visit your dentist twice a year for a professional clean.